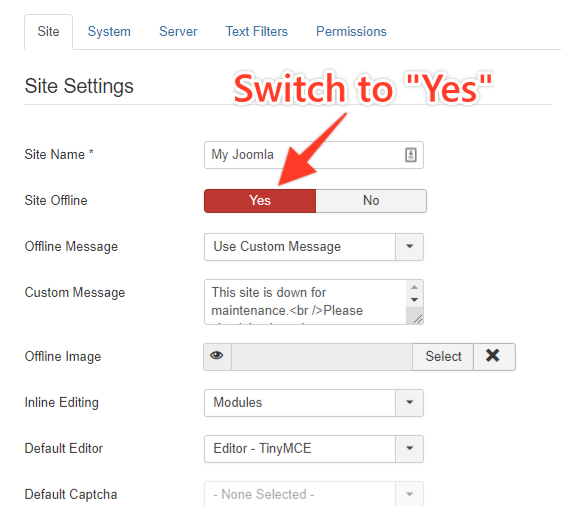 Under the Site tab, click on the Yes icon on the Site Offline. 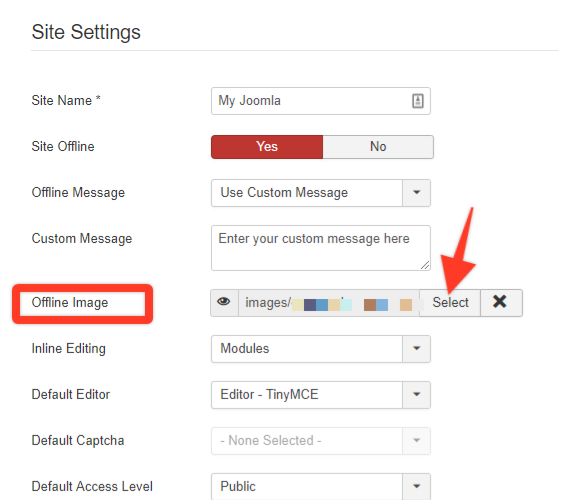 Under Offline Image, click on Select button. Once the pop up appears, scroll down and look for Upload file. 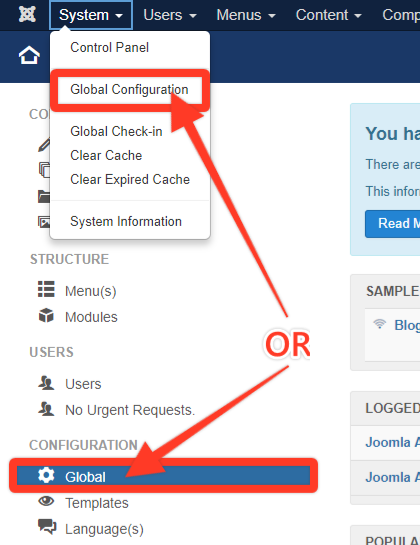 Click Choose Files button and browse for your maintenance mode picture. 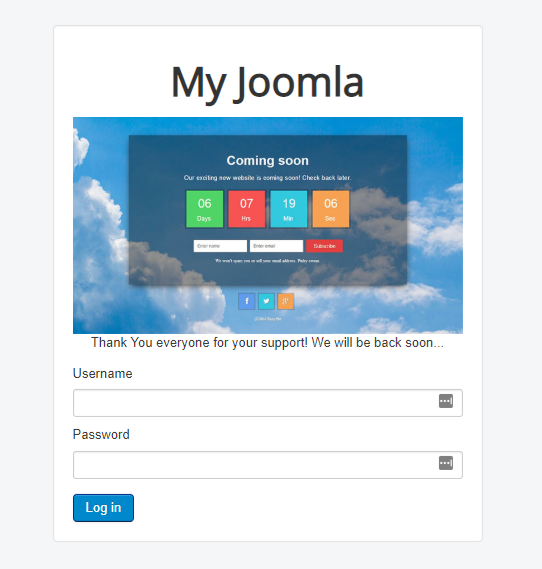 Click the Start Upload button to begin the uploading process. 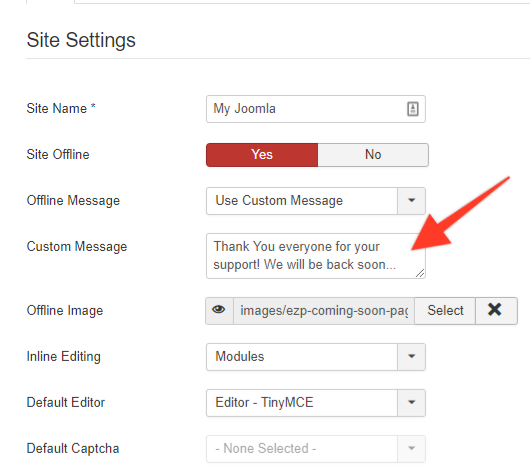 Next, you need to enter custom message for your maintenance page as highlighted. Once you&apos;re done, you need to click on Save & Close button.